Tomorrow will mark Day 54 of the Texas Legislative session and there is lots going on in the Texas Capitol. Senate Bill 3 — the $5,000 across the board pay raise for teachers — will be voted out of the Senate tomorrow. The bill currently has 28 co-sponsors out of the 31 senators, so passage is assured. As conservatives, we have been fighting for over a decade to direct more education funding to the classroom, where it can make a difference for children and Senate Bill 3 does exactly that. Aside from a parent, nothing has more impact on a child’s success than a teacher and Senate Bill 3 will give teachers their first significant salary increase in nearly 20 years. Next week, I also will be announcing the top 30 legislative priorities for the Texas Senate this session — so watch for that on social media. The list includes issues the people have asked us to address and priorities from the senators. 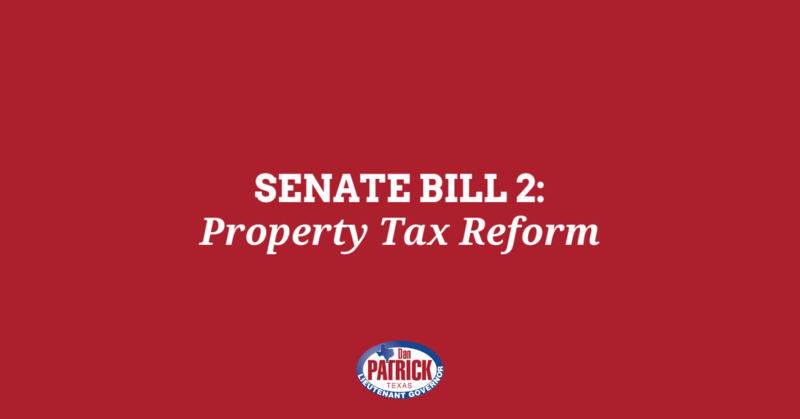 Of course, you already know about Senate Bill 2, which will rein in skyrocketing property taxes and finally provide some relief for taxpayers. 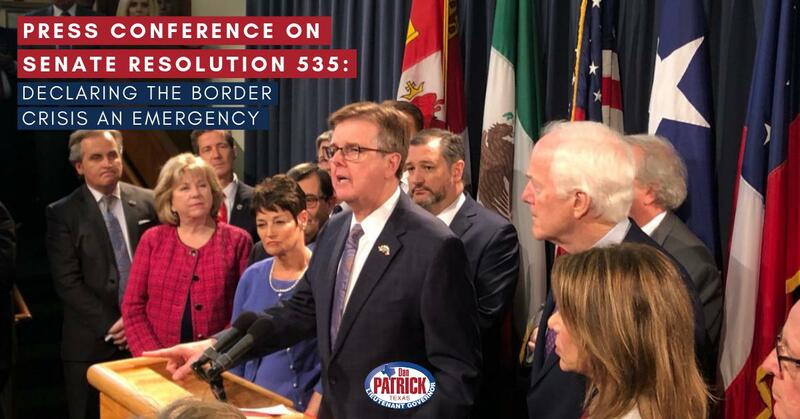 You may have also heard that on Thursday, Senate Bill 15 — another top priority — passed out of Committee. Senate Bill 15 will stop government overreach at the local level by prohibiting local cities and counties from passing local ordinances — like mandatory sick leave — that will hamper business growth and kill jobs. I am very excited about this bill and all the legislative priorities I will be announcing next week. 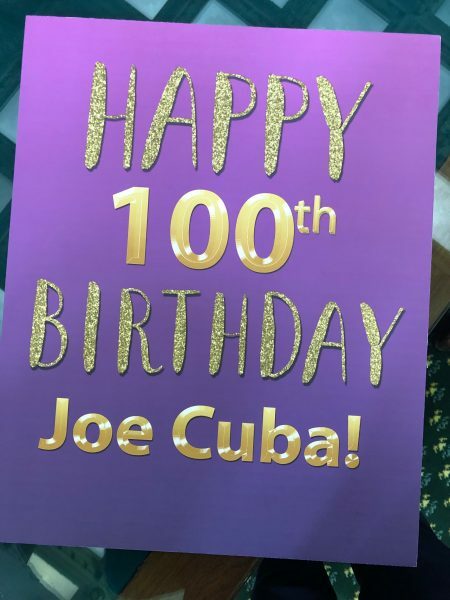 Meet Joe Cuba. He turned 100 yesterday — on Texas Independence Day. He is a World War II veteran and he asked for 100 cards for his 100th birthday. He’s received 16,000 so far! The Texas Senate hopes that we have sent the largest one, which was hand-delivered to Joe in his home in Wichita Falls by State Senator Pat Fallon, R-Prosper. Here’s a picture of the huge card which was signed by me and all 31 Texas Senators. I also have given him a flag flown in his honor over the State Capitol. 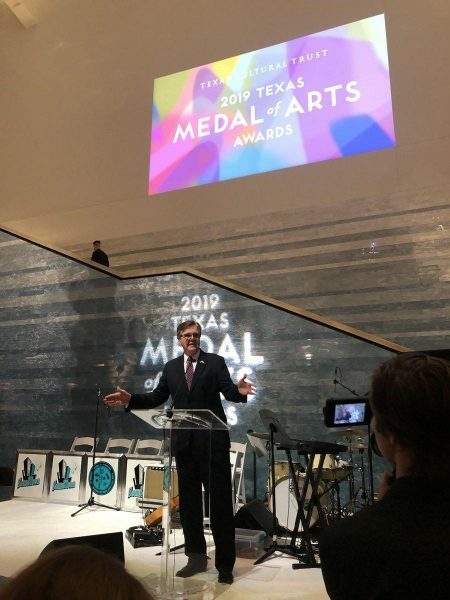 Earlier this week, I attended the opening celebration for the 10th Biennial Texas Medal of Arts Awards honoring many of the great artists who call Texas home. 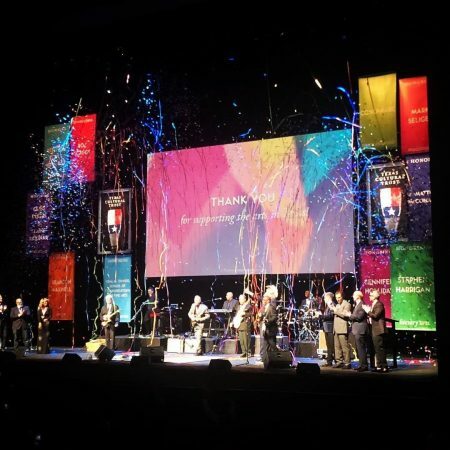 Among the honorees this year were film star Matthew McConaughey and musician Boz Scaggs. The arts and culture industry generates over $5.5 billion annually for the Texas economy and creates thousands of jobs, while bringing richness and depth to our flourishing state. I also had the great honor of celebrating Texas legends for their creative talents. Congratulations to the well deserved honorees. Texas is proud of what you have accomplished in your respective fields. 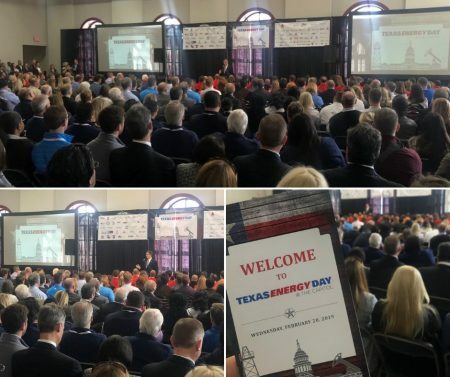 We recently celebrated Texas Energy Day in the Capitol. Oil and gas are expected to generate $10.7 billion for the 2020-21 budget cycle, almost 10% more than the 2018-19 cycle. Oil and gas are key in making the Texas economy one of the strongest in the world. Our state economy is larger than Russia and creates more jobs than any other state. 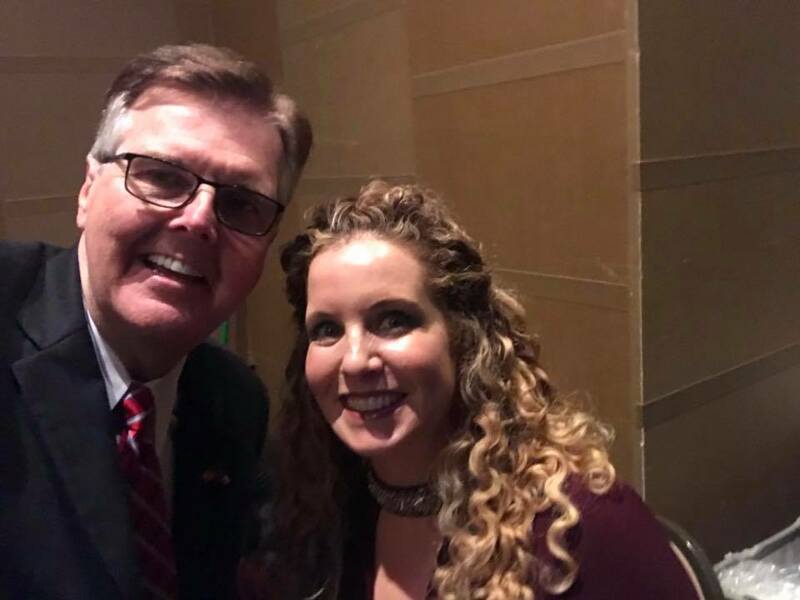 People love to visit Texas and our booming travel industry are the folks who make sure they feel welcome…and that they come back to visit again. 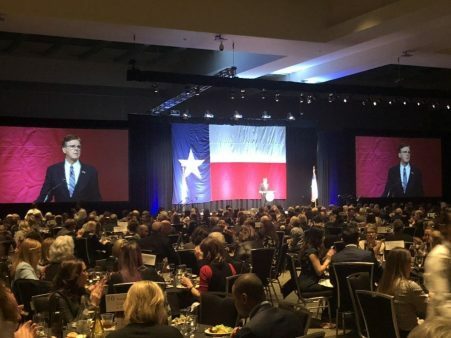 I was proud to address the sellout crowd at the 29th Annual Texas Travel Industry Unity Dinner. Without travel and tourism, every Texas household would pay $690 more in state and local taxes each year. Travel and tourism supports 1.2 million jobs in Texas, 1 out of every 10 jobs, with earnings of $55.9 billion. 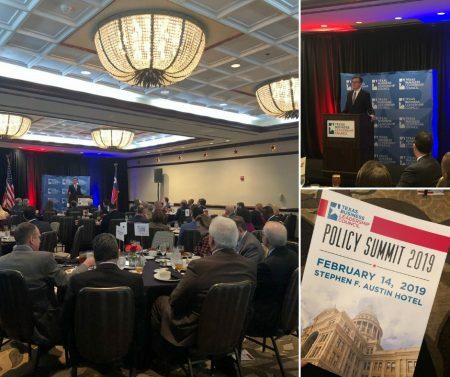 I gave this year’s keynote at the Texas Business Leadership Council 2019 Policy Summit made up of business leaders from across the state. Texas businesses added nearly one million new jobs over the last four years. This is critical to our future. The world depends on a strong America and America depends on a strong Texas. 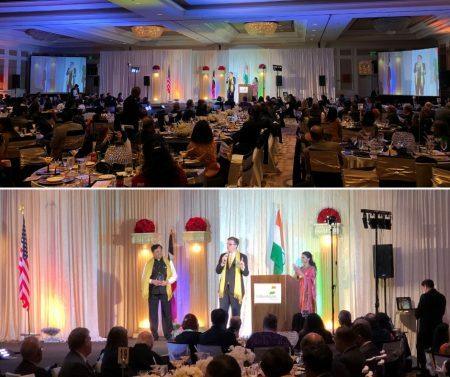 I spoke at the 16th Annual India House Gala in Houston on Saturday. Their mission is to unite cultures, create bridges and serve the community by bringing resources, education, services and Indian culture to Houstonians. It was a terrific evening. Renters need property tax reform too! High property taxes increase rental costs and impact renters. 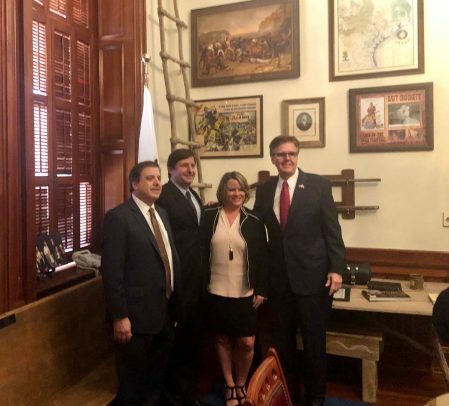 Leaders from the Texas Apartment Association dropped by my office last week to voice their support for the Property Tax Reform Bill — Senate Bill 2.